The latest episode of PotterCast covers the complex, multifaceted situation regarding Dumbledore’s homosexuality in Fantastic Beasts: The Crimes of Grindelwald. 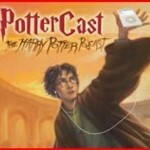 Before beginning that discussion, our wonderful hosts (Melissa, John, and Frankie) share their excitement and theories for the new Wizarding World mobile games — including Harry Potter: Hogwarts Mystery and the Fantastic Beasts VR game. Next up, the discussion shifts over to David Yates’s “not explicitly gay” comment in regards to Dumbledore’s sexuality in The Crimes of Grindelwald. 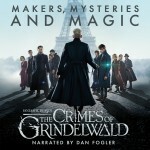 While Yates’s comments seem to rule out the possibility of covering the subject in this film, it should be mentioned that there are three more films in the Fantastic Beasts series still to come. Of course, this is still not ideal for many fans, including LGBTQ+ audiences who now have to wait longer to see a non-cisgender, non-heterosexual relationship in the books or on screen. You can listen to the full episode here, and remember to check out the crew’s Patreon page here!